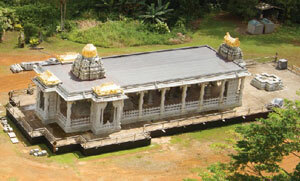 The Iraivan Hindu Temple in Hawaii is a model of successful implementation of annual, major and planned gifts. It is the largest HHE endowment. Every now and then we are asked by trustees of a temple in the USA that is newly formed or just a few years old whether they should start an endowment fund at this time or wait till later. The concern is that raising funds for an endowment will compete with what are viewed as the more pressing needs of paying down a major loan or funding the next phase of temple construction. These are reasonable concerns, but professional fundraisers tell us that this is not an issue if the various fund-raising programs are properly presented and administered. Annual gifts, such as the year-end appeal for general support, are made from disposable income. Major gifts, such as for temple construction, are funded from savings or other assets such as appreciated stock or real estate. Planned gifts, such as for an endowment fund, usually take place in the future, are part of the donor’s estate plan and utilize lifetime accumulated assets of all types. To check on this concept, planned giving professionals have done research and found that more than 70 percent of people who have already made planned gifts also continue to make annual gifts to the organizations they have named in their estate plans. A compelling reason for a new temple to start an endowment fund as early as possible is that more of the founding core group of donors is still living in the area and participating in the temple. They are the natural group to contribute to the temple’s endowment fund. Historically, endowment has been simultaneous with construction of many Hindu temples, either by a king or a Hindu community with gifts of land for shops or for agriculture. These deeply interested parties wanted to make sure the edifice they built would be sustained in perpetuity. 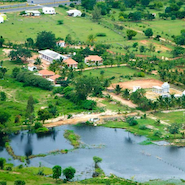 The concept of making charitable gifts in your estate plan to your favorite charities is commonly referred to as “Leaving a legacy.” For example, if you are donating $5,000 a year to a Hindu temple, a gift to their endowment of $125,000 would continue to provide that $5,000 a year (assumes a grant of 4%). Potential donors may raise the objection, “I have children and relatives. Shouldn’t I leave my entire estate to them?” This is perhaps the number one cause for reluctance when making a bequest. However, part of making a charitable bequest is demonstrating your values and beliefs to your family, reinforcing what you have done during life. Making a planned gift to an endowment should not be done as an independent action. It should be part of a comprehensive estate plan. Professional advisors should be consulted to help the donor understand the various ways to give as well as decide the question of what to give—which addresses the complex realm of the "tax consequences" involved in giving different types of assets. 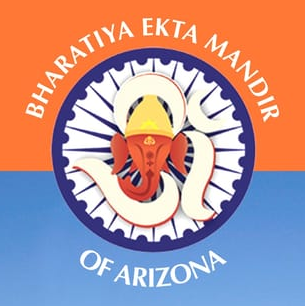 For additional information contact Shan­muga­natha­swami at 808-664-0054 or e-mail hhe@hindu.org. To learn more about planned giving options to provide immediate tax and income benefits to you and your family, while also providing a future gift to a temple, please visit the Hindu Heritage Endowment website at www.hheonline.org.